Today, WCRM158 Wastewater Management Authority Inc. hosted a ceremonial sod-turning and announced the prime contractor for a more than $21.9-million project funded in part by the federal and provincial governments that will help position the Town of White City and the RM of Edenwold’s Emerald Park area for growth. The prime contractor, Westridge Construction, targets January to start work on a new building that will house the new wastewater treatment system. They will also connect that new system to the existing sewage lagoon system. Saskatchewan-based Living Sky Water Solutions will provide the new wastewater treatment system within that new building. Living Sky Water Solutions, which manufactures locally in Regina, was sourced through a tendering process earlier this year. “I am very pleased to see this important wastewater project moving closer to reality for the communities of White City, Edenwold and Emerald Park. The Government of Canada is investing in modern wastewater infrastructure that will help protect the environment, keep our communities healthy and create middle-class job opportunities across Saskatchewan for years to come,” said Public Safety and Emergency Preparedness Minister Ralph Goodale. “The Government of Saskatchewan is proud to be investing more than $7.3 million toward this wastewater project which will help keep these communities and our province strong. 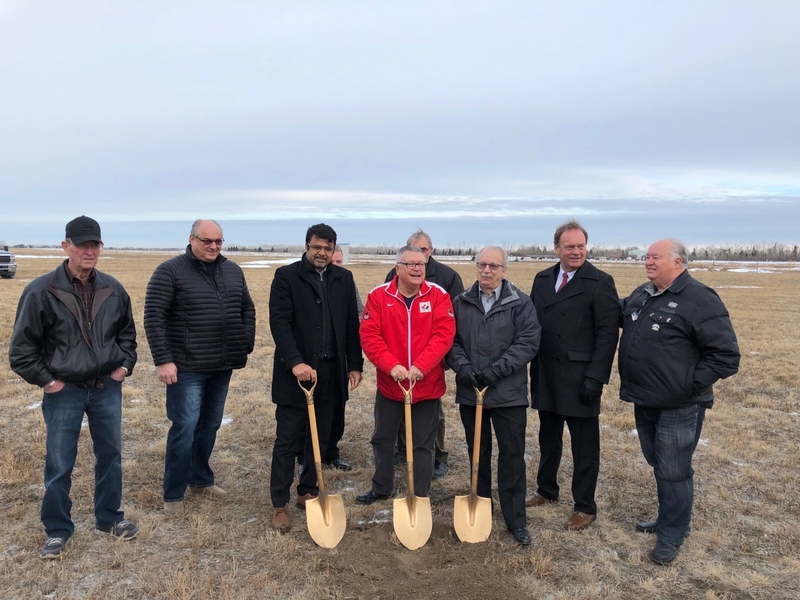 It’s great to see municipalities working together on a common infrastructure goal to serve their citizens,” said Regina Pasqua MLA Muhammad Fiaz on behalf of Government Relations Minister Larry Doke. “It’s great to see this important infrastructure project take another significant positive step and move toward the construction phase. Today marks another important milestone in this ongoing project,” said WCRM158 Wastewater Management Authority Inc. Chair and Town of White City Councillor Cec Snyder. “We’ve come a long way to make it to this significant point as a joint wastewater authority, thanks to the past and present efforts of everyone involved in this much needed project,” said WCRM158 Wastewater Management Authority Inc. Vice Chair and Div. 2 RM of Edenwold No. 158 Councillor Stan Capnerhurst. Through the New Building Canada Fund’s Provincial-Territorial Infrastructure Component, National and Regional Projects, the governments of Canada and Saskatchewan are each contributing more than $7.3 million for the project. WCRM158 Wastewater Management Authority will be responsible for all remaining costs of the project, which has a total eligible cost of $21.9 million. Federal and provincial funding was announced earlier this year. Since that time, project design, and other preparation work has been underway to get ready for the start of construction on the facility south of the White City/Emerald Park area. In 2018, work will include such things as construction of a building, installation of a treatment system, and connection to the existing wastewater infrastructure. The facility is expected to be operational and serving area citizens by late 2018. The WCRM158 Wastewater Management Authority was formed in 2009 by the Town of White City and the RM of Edenwold No. 158 to deliver wastewater utility services to the communities of White City and the Emerald Park areas. WCRM158 Wastewater Management Authority Inc.